Project Oak offers you an individual detailing solution for your vehicle, tailored to match your wishes. To help you select from the wide range of services, we have prepared four premium car care packages, from an essential car cleaning session to a complete concours preparation. Please take into consideration that large vehicles, like SUVs or luxury sedans, may take half a day longer. If you seek additional detailing care or have questions regarding what detailing can do for your vehicle, then please contact us for a personal appointment. We can advise and customize a detailing plan suited to your individual requirements. The first level of detailing, focused on cleaning the exterior and interior, removing contamination and dirt, restoring a fresh clean look of your vehicle in 5 steps. A thorough wash to the complete exterior of the vehicle. Wheels- The first step is to wash the wheels and remove all ingrained brake dust with a non-acidic wheel cleaner, cleaning both wheel face and barrels. 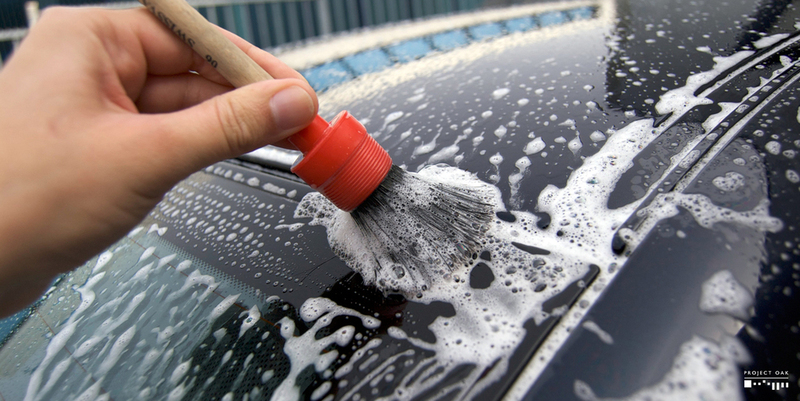 Details- Usually neglected areas, like door jambs and rain channels, are washed and degreased. A complete iron decontamination and clay procedure, to remove embedded iron particles, fallout, tree sap, etc., restoring a smooth and clean paint surface. The Interior is dusted and vacuumed, while all plastics are washed and cleaned, leaving the interior free from dirt. The exhaust pipes will be polished and the tires dressed. A gloss intensive sealant is applied to the paint, trim and glass, protecting and enhancing the surface with a UV resistant, dirt repelling, hydrophobic sealant layer that lasts 6 to 8 months. 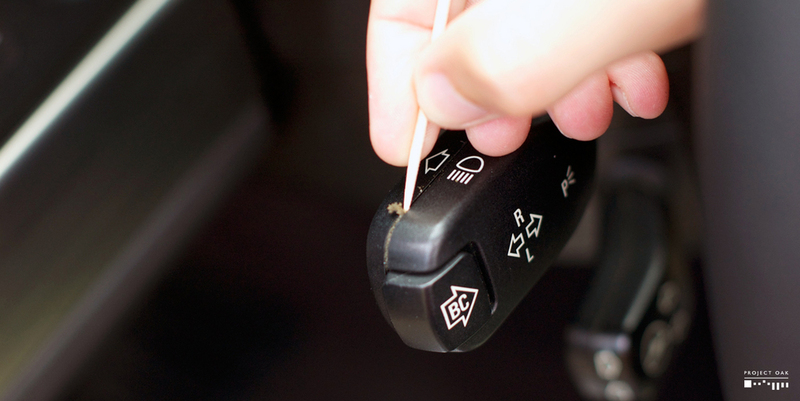 We advise that this process happens twice a year for a regularly used vehicle. An upgrade to the basic Bronze package, the Silver detailing plan further enhances your vehicle through a 9 step process. The leather is gently washed to remove skin oils and ingrained dirt. 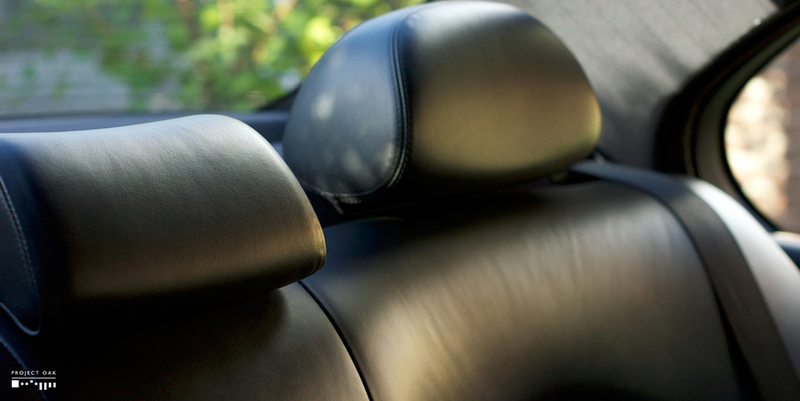 To protect the clean finish, a leather protector will be applied , which helps prevent new stains, protects from UV damage, abrasion and re-hydrates the leather, restoring the softness and natural leather sheen. The single step polishing process is focused on enhancing the paint finish, removing light swirls and haziness from the paint, restoring gloss and shine. Paint - Special nano-coating sealant will be applied to the paint, protecting it from dirt and UV Damage. The hydrophobic properties, contact angle of > 100°, keep it easy to clean and remain water repellent for up to 24 months. Glass - Cleansed with clay, meticulously cleaned to remove dirt and hazy film. 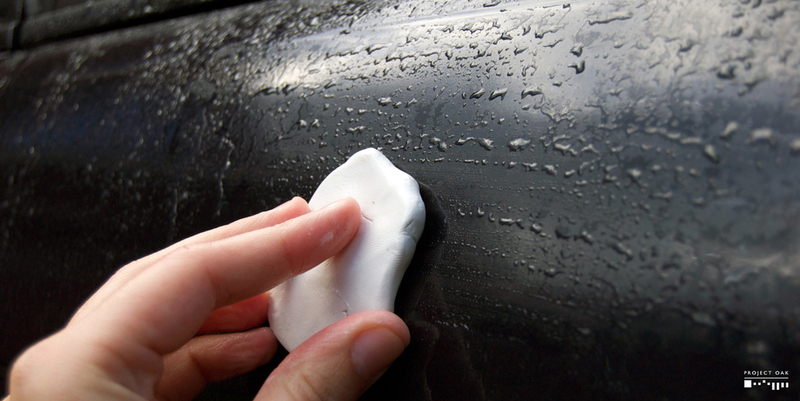 Sealed with a nano-coating sealant, offering enhanced visibility in the rain for 12 months. After this treatment, your car has its shine restored and is better shielded from dirt settling in, which helps maintain the fresh look inside and out for longer. We recommend this level of detailing to be carried out once a year. The Gold detail builds up on the previous steps described on the Bronze and Silver packages. Before the initial wash, the engine bay will have its electrical connections covered and it will be thoroughly cleaned, removing dirt, oil and grime. This will beautify the engine bay and be helpful in spotting fluid leaks as they will become easily visible. Remove, wash and clay the wheel faces and barrels, removing deposits of brake dust and tar. Tire sidewalls are washed, removing the brown finish from the soiled rubber. Wheel wells, brake calipers and suspension arms are washed. Afterwards cleaning, the wheel well plastic liners are treated with a plastic sealant. Damage to the paintwork has many levels of severity. 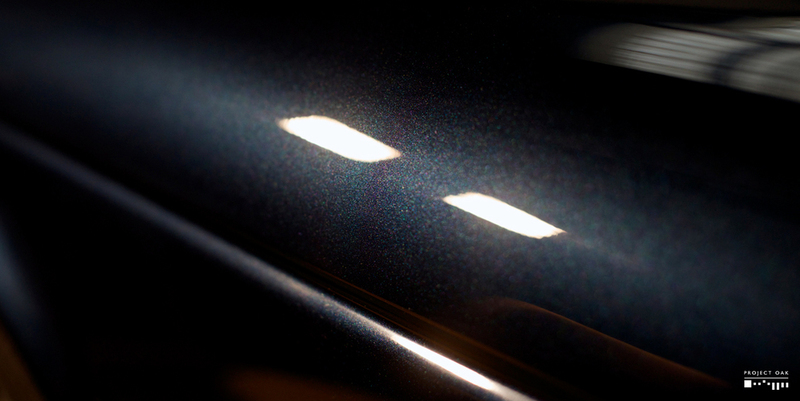 Swirls, created by wrong washing techniques or abrasive contact with the paint, diffuse light and haze the reflection, leaving the paint and color with a faded look. Deeper damage that can go through the protective lacquer, like random deep scratches or etched dried bird droppings, can compromise the color coating or the body panel underneath. Compound- higher cutting levels, removes deeper damage. Polish- Medium cutting properties corrects swirls and holograms. Levels the paint surface, increasing gloss and shine. Jeweling- Focused on burnishing the paint, greatly increasing gloss and reflection, leaving the paint with a smooth mirror finish. 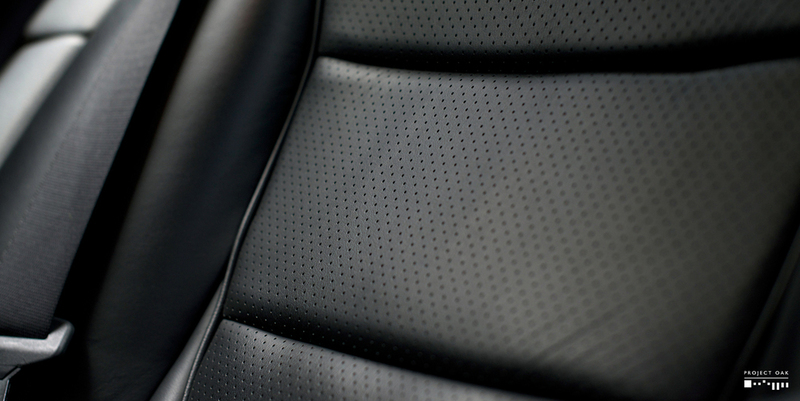 With more time dedicated to the interior, areas like air vents, seat rails and headliner are detailed. Carpets will be washed/extracted, removing deep settled dirt, stains and bad odor. Paint- Special nano-coating sealant will be applied to the paint, protecting it from dirt and UV Damage. The hydrophobic properties, contact angle of > 100°, keep it easy to clean and remain water repellent for up to 24 months. Wheels- Protected from brake dust and other contaminants from sticking for up to 18 months. Glass- Cleansed with clay, meticulously cleaned to remove dirt and hazy film. Sealed with a nano-coating sealant, offering enhanced visibility in the rain for 12 months. Trim- Exterior plastic trim is degreased and sealed with a protective nano-coating sealant, that restores plastic to as new condition, preventing premature colour fading and keeps it protected up to 18 months. Daimler bonnet 50/50, left side has swirl damage, right side is polished. The results after more than 40 hours of dedicated polishing time on this Daimler Super Eight. The Platinum package is a no compromise approach to detailing. After extensive analysis of the vehicle, a plan of action will be discussed with you, on how to better bring the detailing potential to restore and optimize every surface area to perfection. Besides the complete detailing treatment, services as panel repaint, removal of parking lot dimples and bumps, wheel repair and top of the line long lasting - up to 5 years - protection coatings are available. Reserved for those that seek nothing but the best from detailing, either for concours d'elegance preparation, for the cherished garage queen or to just have your pride and joy looking as good as it gets. The ultimate in attention to detail. Hundreds of hours were spent perfecting this Le Mans Blue M5. Detailing without compromise. No attention was spared to elevate the M5 to this condition.